the last instalments of a fragmentary novel about Dunedin denizen Robert Stoat. 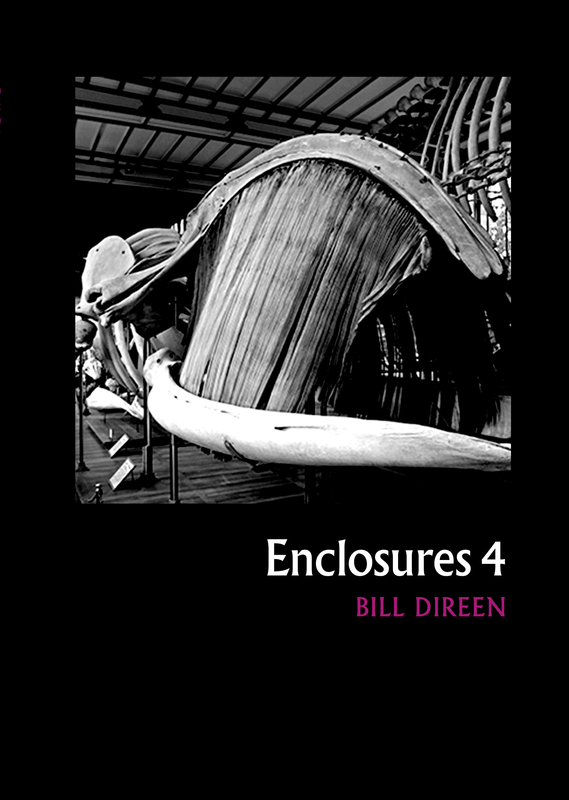 Any of the Enclosures books or sections within books 1 to 4 may be read independently. The little Enclosures enclose selected writings, but each has its preoccupations. Bill lives in Dunedin, New Zealand. His 'enclosures' are set in isolated bio- or necro-spheres real or unreal. They may be fiction, diary, experimental prose orchapters in a self-shaping "knovel".